Don’t come for Principal Alisha Coleman-Kiner’s students. Ever. Coleman-Kiner, the principal of Booker T. Washington High School in Memphis, Tenn., made her feelings quite clear in sharing an email she received that questioned the school’s handling of the death of senior Myneisha Johnson, who was shot and killed a week before she would have graduated. 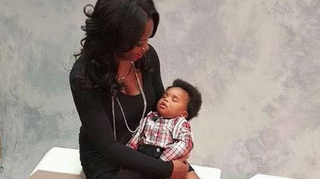 According to Myneisha Johnson’s mom, Terry Johnson, it was decided that in honor of the slain 18-year-old, the teen’s 1-year-old son, Kylan, would walk the stage to receive his mother’s diploma, Fox 13 Memphis reports. The death of any young person is tragic. But to allow someone else to walk across the stage to accept her diploma is one thing but then give it to her young infant is another. What are you thinking? The attitude and culture of the inner city youth need to change and doing this it won’t’ you’re acknowledging and celebrating this young child whose mother was tragically killed when in all fairness probably should have been home taking care of that young infant who now has no mother and quite frankly don’t know who this father is. Open letter to the lady who judged my baby…. Seriously. Just stay in your lane. Myneisha Johnson was shot and killed Sunday morning, Fox 13 reports. Authorities have detained 19-year-old Kwasi Corbin, who admitted to shooting an assault rifle into a crowd, ultimately ending the 18-year-old mother’s life, according to the report. Corbin has been charged with first-degree murder, attempted murder and a weapon’s offense. Read more at Fox 13 Memphis.